As we celebrated the 4th this year, we thought about all the things to be thankful for in this country. Sometimes we take things for granted, despite the abundance of things at our disposal. Simple things like having someone to talk with or share our thoughts and feelings with, a very basic human need, is not always an option for many people. This is a reminder to recognize those around us who could use a hand, a smile, a kind word or gesture. As you read about our Friendly Visitors and how they touch the lives of our clients, stop to think about whose life you touched recently! Our Friendly Visitor program cheers up our clients who may be lonely because they do not have any family or other social contacts. Ruth is a great example. She is a 71-year-old retired nurse who lives in a small assisted living facility and has no one but MonarchCare and the staff where she lives. Faye is her Friendly Visitor; Faye works full time yet finds time to visit with Ruth a few times a month. Ruth’s face lights up at each visit and she loves to sit and joke with Faye. Families often ask us how they can best spend time with their loved one residing in a facility. It’s simple- just be present with them, hold their hand, listen to music, go for a walk, give them a hug. These are basic human needs that we all have and deserve- thank you to all our Friendly Visitors who fill this void in our clients’ lives. 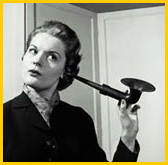 If you want to learn more about being a Friendly Visitor, contact us anytime. 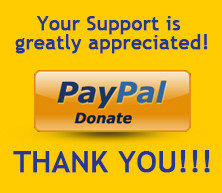 Please remember we are a charity and depend on your support to serve others. 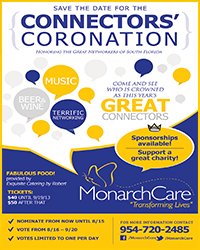 Consider sending contributions to MonarchCare in the name of a loved one; sponsor an event, or help us with monthly or yearly charitable donations. Your support is key for the many clients who have limited income. When emergencies happen they have no extra resources to help – we try and use all the community resources we know about but sometimes that is not enough. Every little bit helps!! Loneliness is a response to the need to belong. Interpersonal relationships give us emotional health: we can share our problems/issues, we can laugh and have a good time, we can learn more about ourselves and others. But when interpersonal relationships/interactions are absent, loneliness occurs. 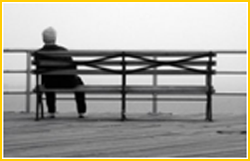 Sometimes loneliness is referred to as social pain, because it is a pain that results from social isolation. Like hunger, the only way to be truly satisfied is to find those interpersonal relationships that will satisfy the need. See the Web of Loneliness website for resources to combat loneliness. at our Jail and Bail event! 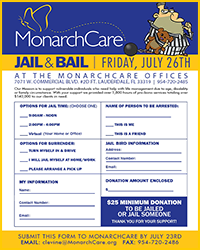 By jailing yourself or someone else, you can help us raise some much needed dollars to support those in the community who cannot advocate for themselves. Just click here to download the form and send it in! Then save the date of September 26th for the Connectors Coronation! Here is your opportunity to honor those great Kings and Queens of networking! Go to our website and nominate someone in the following categories: Legal, Social Services, Financial, Mental Health, Health Care Community or Health Care Provider by 8/15/13. Voting will begin shortly thereafter. The winners will be announced at the event. More exciting details to follow! 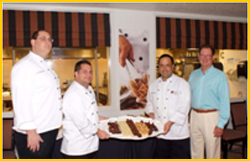 Last month we partnered with the Mental Health Association of Southeast Florida for a great friendraiser hosted by the International Culinary School at the Art Institute of Fort Lauderdale. We viewed the beautiful art works made by clients of the 9Muses Center while listening to original music performed by Bobbye and Steven. The wonderful food was sponsored by the Chef’s Palette, thanks to Chef Eric, Chef Bernardo and Chef Derek, and facilitated by the Director of the Culinary School Chef Kane. Our goal was to bring attention to the creative abilities of those living with mental illness and to thank those who support both of our organizations. Thank you to all who attended and special thanks to our beverage sponsors Hospice of Broward County and Bonnie Mackey of Levin, Silvey, Selko and Mackey, CPA. In a small saucepan set over low heat, melt 1 tablespoon of butter. Add the garlic and cook, stirring for 2 minutes. Add remaining 3 tablespoons butter to saucepan. When it melts, stir in the lime juice, chili sauce, salt and pepper. Turn off the heat and allow the sauce to rest. Bring a large pot of well-salted water to a boil. Add the shrimp and cook for 2 minutes or until they are just firm and pink. Do not overcook. Drain into a colander and shake over the sink to remove excess moisture. Claudia Jo Willis, Esq. - Law Office of Claudia Jo Willis, P.A. Mitchell Kitroser, Esq. – Law Office of Mitchell I. Kitroser, P.A.